With this product you can accumulate up to 295 Glitter Points. Skin fells soft, firm and smooth. 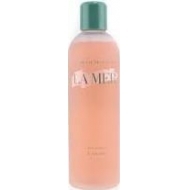 Moisturizing Gel Cream de LA MER is the ultra light version of the original Cream de la Mer to hydrate and refresh skin, leaving it wonderfully smooth. This cooling formula combines the emollient properties of the original Cream de la Mer with the gel texture of seaweed extracts to hydrate, regenerate and revitalize your skin. It is ideal for warm-weather climates. 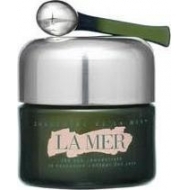 The secret to activate Crème de LA MER renewing power and enjoy its profound benefits lies in its application ritual. Warm a small amount between fingertips and gently tap onto dry clean face and instantly feel its soothing comforting effect. Apply AM and PM. to face, neck and eye area.